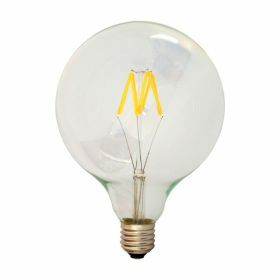 These bulbs are a 125mm globe size bulb that looks like a traditional oversized incandescent. With filaments encased in a glass exterior, it packs higher power into a smaller package that is appealing to the eye. They are also very lightweight - only 99g each compared to other LED equivalents of 300g or more. 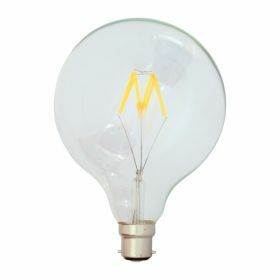 In this regard they are very similar to traditional bulbs - but without the power consumption and heat!